« Take a guess how much salary the Nats have Deferred at this point? Subscribe to comments with RSS or TrackBack to 'Your 2017 Bullpen'. As they say, facts are stubborn things. Those opening stats for Blanton are strong, journeyman starter to excellent reliever. Thankfully, no one else was smart enough to sign him and we got a solid addition to great addition. Todd, I think you’ve ID’d the opening day bullpen exactly, although there could still be a good bit of competition for the slots you’ve given to Glover and Worley. The other five seem pretty solid, barring injury. Worley could have competition for “long man” from Guthrie, Cole, Voth, maybe Jacob Turner. Glover is up against Nathan (Dusty loves veterans! ), Romero, Cordero, Gott, etc. I like Gott and hope he gets some MLB time this season, but the numbers seem stacked against him coming out of the spring. Is Glover the closer of the future? Who knows? Dusty has made some comments this spring about how he may be “too bold” right now. I didn’t know that was a problem with closers! To me, he seems to have more of the bulldog closer mentality than Treinen does. All in all, there’s quality depth in this bullpen, perhaps the best combo of quality and depth the team has had. Will depth offset the lack of a “proven closer”? Will the team keep casting about and do something desperate to get a “proven closer”? I’ve been in the minority all winter in saying that if they didn’t get one of the “big three,” they were better off with the guys they’ve already got. I still believe that. (Yeah, Wally, for the price, it would have been good to get Zieglar, though.) Anyway, we’ll see. I’ve never really wanted Robertson. The price would be high, both in terms of what the Nats would have to give up and in what he is still owed. I still see Romero making the team. If contracts weren’t involved, I think he’d get the nod over Perez, but the Nats aren’t going to eat that contract. So I think as things stand, barring injuries (real or phantom) and including the practicality of options, control etc, I think romero goes north and Glover starts in Syracuse. Dusty’s comments have been a little weird on this point, referring to the ‘I ain’t got no choice’ stuff. It’s only worrisome to me because Dusty has a bit of history with using the media this way to air concerns or just make it clear that if things so south, it isn’t his fault. To me, this bullpen sets up well for an enlightened manager to say, “I’m going to get three guys 20 saves each and keep all of them well rested in the process.” It’s a perfect situation for it since there are no “incumbent closer” egos involved, as there have been around here in 2013 and 2015. Alas, we’ve got the oldest of old school, grumbling that someone has to be “the guy” and that he doesn’t like his opinions compared to some other guys that we didn’t get. I’m also not a Perez fan but don’t see them eating his contract. As for Romero, if he makes the team, it would be a plus, as he blows high-90s smoke. The question is always which direction it’s blowing. Romero had a 5.91 ERA for the Rays last year, though, so there shouldn’t be any assumption about a guy with a 5.91 in his recent past making any team, even if he’s out of options. Much as the Nats played brinkmanship with the possibility of going into the season with a mediocre and dangerously thin bullpen, the Blanton signing was probably exactly what they needed. I agree that I’d much rather see them spending the big bucks elsewhere than on a closer, and I think their reluctance to do so is a strong indicator that they think Glover is the answer long term. But not right now. I agree with Wally that Romero is likely to get that last bullpen slot with Glover practicing closing in AAA. How long that lasts will be entirely dependent on whether Romero shows any improvement and whether anyone else goes down with an injury. The Nats lost a lot of bullpen innings with the departures of Petit, Pap, Rivero, and Belisle, but of that quartet, Belisle was the only one with an ERA under 4.00. (And yes, Melancon left, too, very much in a different league, but only 29.2 IP.) But overall, despite not getting Melancon to return, the depth of this bullpen seems considerably improved. Maybe I’m a minority in thinking this; I don’t know. I heard a discussion yesterday about how the Nats are going to have to score more runs because of how terrible their bullpen is. Really? Kelley (2.64 ERA), Treinen (2.28), Solis (2.41), Blanton (2.48), plus a recovered Glover (2.25 in the minors last year) sure look like a good crew around whom to build to me. I also think the bullpen has a lot of talented arms now. I do think that there is value to a closer who has proven it before, and they lack that, but I think it’s manageable. And for that matter, why can’t Blanton close? He has a higher than I expected K and swinging strike rate and is seasoned. Hey Karl – how does that end (if wishes were horses …)? Wally, I was trying to remember the rest of that too. If you’re a sabremetric guy, then this bullpen has everything you need to be successful. 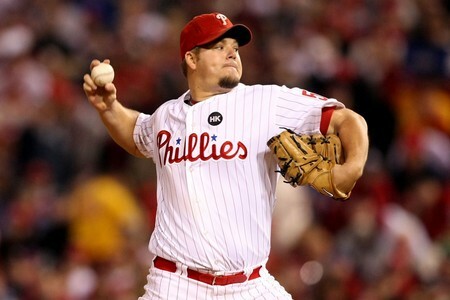 Tom Boswell wrote about he, like me, remembers Blanton being this fat and sloppy guy as a starting pitcher. He has transformed himself in to a physical specimen who’s ready for 75-85 innings or more. A lot of those closer contracts sure were stupid. The biggest risk the Nats were taking before the Blanton signing was health. Solis hasn’t had a fully healthy season since 2011, Kelley is I believe a two-time TJ survivor, Glover is coming off an injury and Gott missed about half the season last year. Lose Kelley and Solis simultaneously for an extended period, for example and they would have been in real trouble. “A lot of those closer contracts sure were stupid.” Exactly. And we knew they were going to be. I just didn’t see how any of the contracts for the big three made sense for the Nats and was surprised they contended for them as much as they did. But they contended for them in the way that made sense — deferrals. It wasn’t just the money, either; it was the length of the contracts as well. I would have loved to have Melancon for two years, but four is really going to be pushing it for him. We’ve seen what “the end” looks like with even elite closers like Pap and Soriano, and it isn’t pretty. We’ve also seen a mid-level-quality guy in Storen completely lose it, even in his 20s. Just think if the Nats had given Storen a five-year extension. The trade demands for Robertson and Colome were also “stupid,” as both reportedly were demanding Robles. I don’t think Robles’ ceiling is as high as some do, but as a top-20 prospect asset, he’s worth more than a mid-level closer, particularly than a mid-level closer with a big contract (Robertson). Often the best deals are the ones not made. Karl, the injury concerns for the ‘pen are certainly valid. To add to your laundry list, Glover is also a TJ guy. Undoubtedly part of the reason the Nats took flyers on guys like Cordero and Romero was to improve their bullpen reserve. Gott, Martin, and Grace are about it as far as the AAA returnees. Nick Lee struggled last year, Bryan Harper blew out, and Brinley floundered at AA and went back to Potomac. Guys like Mapes and Simms have continued to get guys out, though, and there’s nothing that says they can’t develop into Stammen-like middle men. On a positive note, thus far in the spring, nearly all the “long men” competitors except Cole have done well. Worley, Guthrie, Voth, and Turner have had good outings. Cole, though, has been hit hard twice. Whatever value he might have had left is draining pretty quickly. KW–yeah, I’m still not totally thrilled with the bullpen depth, and wish we had more younger guys moving up the system who plausibly look like they could be decent relievers. Mapes and Simms are underdog types you certainly root for, however much of a long shot they may be. I felt Cole should have converted to relief pitching last year, since he seemed get hit much harder after the first time through the lineup. So far this spring, he doesn’t even look like he deserves a 40-man roster spot. With Voth pitching well and Cole on his last option year it is well past time to see what the laatter can do pitching strictly out of the pen. I had really hoped to be able to spend Sunday afternoon watching the Nats, who have a home game today. Well, there’s an ST game on MASN, but it ain’t the Nats. This is the 12th year they’ve been held hostage. MASN must die. 1) Adjustment – This is the first spring that Maddux has with Glover, Romero, Worley, Guthrie, Nathan, Blanton, and Cordero. They are still learning who we have, and how they adjust to the coaching Maddux is giving them. That is a good thing. But we will see some(one) reflecting that adjustment in a way that creates separation and resolves the roster. 2) Health – Kelley, Solis, Glover, Gott, Martin, Cordero all with health concerns from late last year. Who did what over the winter and emerged in what shape? 3) Performance – We are a few games in and with a lot of lower level talent with which to pad stats. So this is fun but if it were so predictable, there would be a shorter spring and less games with which to create risk among the expensive arms.